Those who read Forkliftaction include decision makers and influencers from your target clients and your suppliers. It is also read by your competitors and your own staff and this is very valuable to you (see why below). 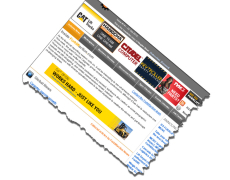 Forkliftaction News is free training. Encourage your colleagues and staff to read because It will challenge your staff to be competitive. But most importantly, every week, Forkliftaction endorses the message that…. The Decision makers in our industry. The Board Members, the ones who sign the cheques / checks. The employees and forklift users from your target market who influence the decision makers. Your suppliers or better suppliers with better distribution networks, better prices. The innovators and design engineers who can help you build on your ideas. So does Forkliftaction get to these people? Is it a venue where your company can mix with the elite? 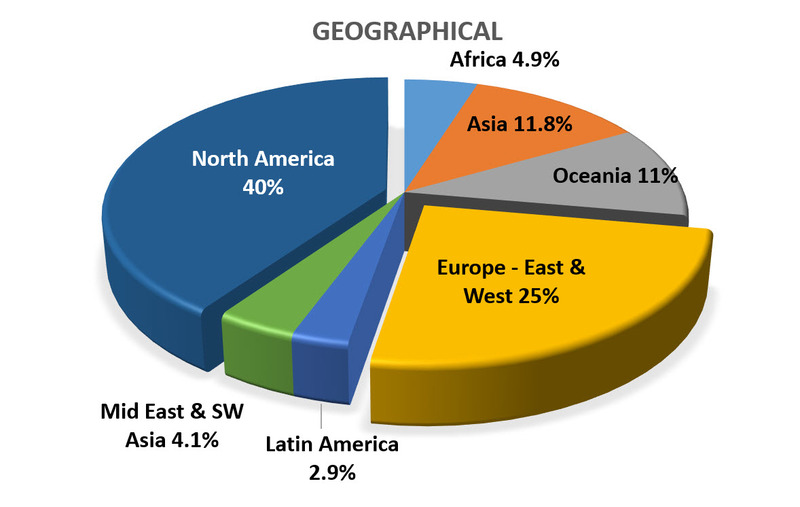 Board members in 380 forklift manufacturing factories. I have counted 3,666 design engineers and seen the registrations of Board members in thousands of factories and warehouses, in the Ports, in the lumber industry, in wine and beer, in farming and construction, in abattoirs and factories. Importantly the readers also include your staff and your competitors. That is good because business is a bit like “Le Tour de France”. You need your team motivated, trained and competitive and sometimes you need to take your competitors along if you want to break away from the Peloton. Most companies have someone reading the Forkliftaction News but we do still get about 150 new people and new companies registering every week. I notice that many successful and progressive companies, the companies who invest in the personal development of their staff, actively encourage their colleagues to read Forkliftaction News. has information and ideas on every page that challenge your staff to be competitive in their endeavours. Why wouldn’t you encourage your staff to use it? your people play a very important part in a very important industry, doing great and useful things in our world. Who are these smart companies who value the influence of Forkliftaction? Some are large companies, some are small family companies but in common, they are the ones on the move. What can you do to make the most of these resources for your company? 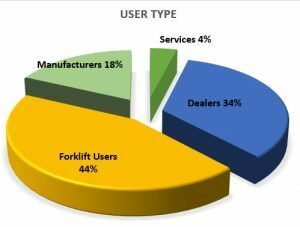 I will give you an indication if Forkliftaction reaches your company effectively and then we can work together to encourage your other staff to register also. Let me illustrate with a short story. When I had 10 staff, and again when I had 1200 staff I thought that I could get my message (call it propaganda perhaps) to them by calling a meeting, writing a company memo and being a nice guy etc. Gradually I began to understand that there was always one or two in the group who did not get the message and that these people regularly infected my team with their negativity. At one time when we had safety issues and poor morale for various reasons, I thought that no amount of effort could sway these 1200 people who had a smoldering of discontent, and then, by chance I selected our top forklift drivers and entered them in the Queensland safe forklift drivers competition. Our top man won the competition and went on to win the Australian Finals of the competition. The great success was published in the local News. Amazingly our staff were buoyant as they arrived at work. They happily told each other that they now worked in the company that had Australia’s greatest forklift driver; in a company where they personally helped keep the safety standards so high in every warehouse job they did, on their packing bench, in their box shop, in the dock out in the yard; a company where they loved to work because it was progressive and where they were able to have an influence on success and safety. I saw our staff change a decade of poor and negative work performance seemingly overnight. The key, I think is getting an outsider, a third party to run your message. I now like to see the success some companies have with a mix of good management and influences that contain a good dose of seeding their message through third party publication…I like to see companies tell the world of their plans and the prestige of their products and services along with the achievements of their team and if they do these promotions in an elite environment you can see that their staff love it and love working for that company. We all recognise that we are all too busy and we all have too much information, but the decision makers still find time to read Forkliftaction. Why do they read it? Why is Forkliftaction so popular? … because at Forkliftaction readers are respected as busy people who do not need their time wasted. News and Discussion Forums are clearly separate from paid advertisements. There is a “No advertorials” and “No Spin” policy. Honest reporting attracts serious decision makers and clean technical discussions result in good research and excellent results. Look how upset the Forum users, technicians in particular, get if someone places a comment on the Forkliftaction Discussion Forums that is self-promoting. It is a strict taboo, a strict “No! No!”. As the Discussion Forum Moderator I know that it is not easy to keep advertising away. Forum discussion activity has intense focus and many want to get a free message in there. We want and encourage vibrant discussions and new ideas and we recognise that these valuable discussions; this valued resource would soon become just another advertising platform if we did not guard it jealously.